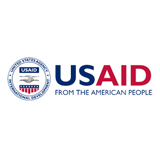 The objective of USAID’s neonatal program is to reduce neonatal mortality by building on and strengthening neonatal interventions within existing maternal and child health programs and linking with prevention of mother-to-child transmission (PMTCT) in high HIV/AIDS prevalence countries. 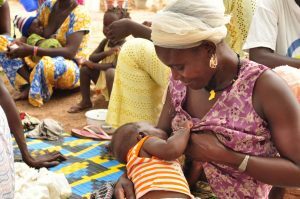 Key program strategies include treating the mother and baby as a dyad by integrating maternal and newborn programs to support the full continuum of care during pregnancy, labor and birth, and after the birth of the baby with evidence-based perinatal and newborn interventions. 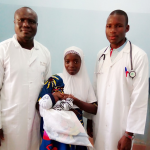 USAID programs strengthen community-based approaches and empower families and communities to care for the newborn with simple preventive interventions such as warmth, hygienic cord care, early and exclusive breastfeeding, and to recognize and refer for complications such as infection. 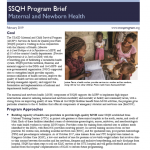 The program links communities to facilities, strengthens health systems, trains health providers, and improves quality of care in health facilities. 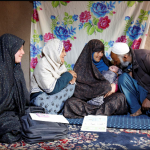 By putting a spotlight on postpartum care, USAID has renewed its program efforts to strengthen the weakest link in the continuum of care to reach new mothers and their newborns for health services and information when most maternal and neonatal deaths occur. 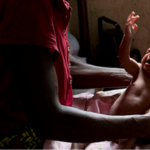 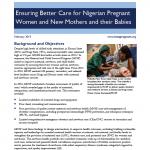 In a relatively new and evolving field, USAID’s newborn care program supports operations research to guide the identification, bundling, and scaling up of interventions and emphasizes the support of global and regional leadership and advocacy. 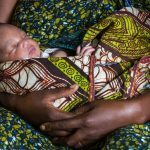 Webinar – Measuring the Content of Postnatal Care for Women: What Do We Know and Where Do We Need to Go?